Pennsylvania Online Poker to go live by the end of 2018! What’s the Pennsylvania interactive gaming process? PA online gambling market could be even bigger than NJ! Pennsylvania legislation could change the face of Louisianna! Sands Bethlehem is not a fan of online gambling it seems! Can Lotto and Slot coexist in Pennsylvania? Record-breaking revenues for the gaming industry in 2017! Online gambling is coming this winter – or is it? 6 Mini-Casinos will open in Pennsylvania soon! Pennsylvania Online Poker to go live by the end of 2018! Just a few weeks until the online casino application process starts and poker is on everyone’s mind! Indeed, it seems that legalizing online slots, blackjack, and roulette was not enough. Pennsylvania residents want more, and they’re right! Especially since the legalization of online poker could bring as much as $60 million to the state. Not to mention that Delaware, New Jersey, and Nevada already share a players pool. So, it’s fair to assume that Pa would jump on the band-wagon and embrace this new trend to generate even more revenues. In a recent interview given to CBS, Kevin O’Toole, Sr. Exec. 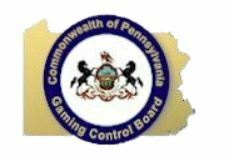 at the Pennsylvania Gaming Control Board (PGCB) mentioned that the casino application process comes first. He added that its a process that could take as much as 90 days. But also that the lawmakers are drafting temporary regulations on the poker subject. What could the Pa online poker application process look like? All and all we think it’s likely that the Poker application process will affect only platform providers. This is because operators may prefer to “purchase” a third-party software to add the poker vertical to their site. It’s logical when you think of it! Since its a lot more cost-effective than developing their own poker platform, right? For now, it’s believed that the poker application process could start around August 1st. Which means that poker platform providers could get the seal of approval of Pa by November. After this, it’s likely that operators could take anywhere between 1 to 6 months to add the poker product to their sites. At the moment the PGCB has not announced when the poker application process will start. The rumors have that poker will be live in 2018. So, we’ll follow this subject closely and if all goes well. We’ll soon tell which platform you should play on and give you a detailed analysis of each casino that offers poker. So, stay tuned!